A huge game for two of the Premier League's top three sides who are both fighting their own individual battles. Liverpool host Tottenham Hotspur on Sunday at Anfield as the Premier League season enters the business end. Manchester City currently top the table by a single point and although a win for the reds would take them top it would leave City with a game in hand. As for Spurs, one point from their past four league games has left them now scrapping for a place in next season's Champions League. 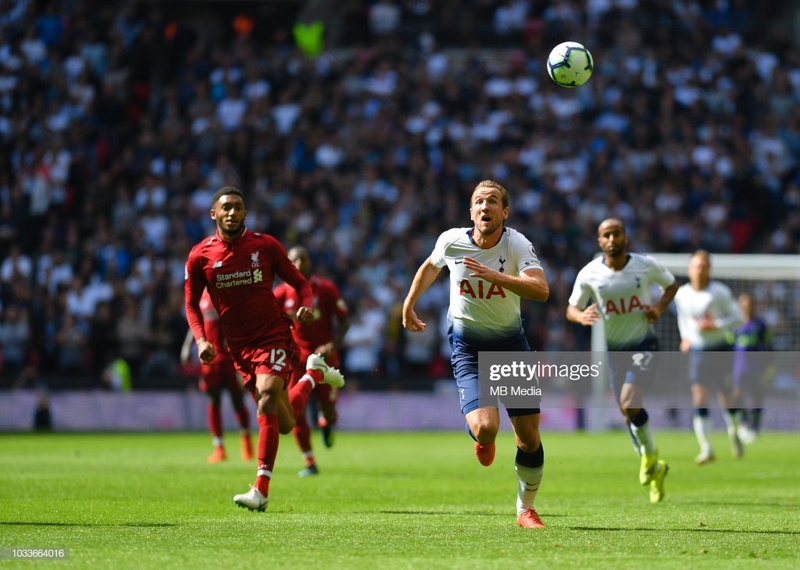 Liverpool cruised to a 2-1 victory at Wembley Stadium in September - the game in which was supposed to open the Spurs' new stadium. The visitors stunned Spurs and really should have scored more than five on the day but almost threw it away in the dying minutes. The previous game between these two sides at Anfield was an actioned packed 2-2 thriller. At 1-1, Harry Kane had his penalty saved to put Spurs ahead and later saw Mohamed Salah put the Reds ahead with minutes to go. In the dying seconds of the game, Erik Lamela won a penalty and Kane made no mistake second time around and secured Spurs a point. Trent Alexander-Arnold will be assessed before the game after the right-back pulled out of England's Euro 2020 Qualifying games. Xherdan Shaqiri will also be assessed but Joe Gomez will remain unavailable. As for the visitors, Eric Dier and Harry Winks will both be missing from Tottenham's midfield. Kieran Trippier will be in contention but his fellow right-back Serge Aurier will miss the game with a hamstring problem. With the title still on the cards for Liverpool, Jurgen Klopp believes his side need to have self-belief to earn their first ever Premier League crown. "Their skills are important. Their attitude and character is important. But to believe in something makes it more likely to happen," he said. "The problem is Man City believe as well! One will be disappointed at the end of the season. "We will try everything to make [the final day of the season] a big day for us." Spurs boss, Mauricio Pochettino spoke of their romance with their new stadium. "When five years ago we arrived here, everyone said if you want to attract players you need to play in [the] Champions League - but that was wrong," Pochettino said. "We are still romantic, but not many people are romantic. You must convince people to sign for your club. "A good point is the new facilities. But there are people around who care more about the business than to work in a good place."